In this white paper the BSI sets out why digital transformation in the built environment offers a new world of opportunity for makers of construction products. Digital technology is transforming the built environment sector. Specifically, Building Information Modelling (BIM) is enabling collaboration throughout the supply chain. As a result, construction industry architects and specifiers are increasingly requiring digital versions of building products, whether generic or manufacturer-specific. BSI is supporting them with a new BSI Kitemark for BIM Objects. The Kitemark offers construction manufacturers differentiation and competitive advantage. The ‘digital revolution’ continues to affect almost every aspect of human existence – and the built environment is no exception. From building design and construction projects to infrastructure development and ongoing asset management, the built environment industry is being transformed by new and evolving digital solutions. To resist the tide of change is as futile as King Canute attempting to hold back the ocean waves. Technological innovation will continue, indeed hasten, and organizations must embrace it. In the UK, the government has long recognized as much, publishing a succession of strategy documents in recent years that present a vision of the country’s construction sector leading change. The potential rewards of this strategy are enormous. If successful, it will enable the built environment sector to perform more efficiently and sustainably, and win a larger share of the vast global construction market, which experts predict will grow by more than 70% by 2025. A key element of digital transformation in the built environment is Building Information Modelling (BIM). This BSI White Paper explores the nature of BIM and, specifically, why manufacturers supplying the sector should understand BIM Objects – digital versions of products – and welcome the new world of opportunities they offer. BIM is a process that uses three-dimensional digital modelling and intelligent structured data to improve collaboration between companies throughout the supply chain for building and infrastructure projects. As such, it represents a significant digital step forward in the construction and asset management markets. BIM brings together all the components that make up a project in the development stage, creating a common language, shared knowledge and increased transparency between all the parties involved, from the main contractor through to sub-contractors, specialists and professionals. It provides the framework to manage costs, timescales and material quantities, and so optimize the efficiency of construction projects. BIM can be used for a wide range of projects. The process can be adopted for individual buildings (from houses and hospitals to shops and schools), infrastructure (from roads and reservoirs, to ports and pylons), and for complex developments involving many and varied structures in the built environment. Importantly, the use of BIM extends through the whole lifecycle of a built asset. The process defines a set of procedures for the production, management and exchange of information generated in the design, construction and asset management phases, from initial drawings all the way through to final decommissioning. While three-dimensional models are the visual representation of BIM, the process is fundamentally about sharing information. It provides a set of processes and standards for managing information through collaboration, underpinned by technology. It allows the entire supply chain to communicate and coordinate effectively. By collating accurate information, from drawings and specifications to materials and measurements, problems can be avoided throughout the supply chain, driving up the efficiency of the construction and asset management processes. Firms recognize that BIM saves time and costs through fast, streamlined processes, reducing waste and uncertainty, enabling collaborative working and improving productivity and delivery times. According to a recent Government Construction Strategy report, BIM can lead to cost savings of 15-20% when fully implemented. Such large potential savings mean BIM adoption is already well underway, albeit to varying degrees. The UK government has also forced the pace of digital transformation. In April 2016 it introduced a condition of contract requiring the use of BIM on all public projects. More recently, in July 2018, as part of its Industrial Strategy, it published a new deal for construction, a £420m partnership between government and industry to transform the sector’s productivity through innovative technologies and a more highly skilled workforce. The deal commits to using digital technologies, including BIM and offsite construction techniques, across the sector. Of specific relevance to manufacturers is the decision to develop digital building designs for use in procurement for all projects, and to work with the product and manufacturing sector to allow accurate, repeatable, machine-readable product information to be used across the sector. Alongside the government’s BIM push, large swathes of the built environment sector have bought into these benefits. BIM is increasingly being used by a wide variety of organizations across the industry, from developers and architects to contractors and consultants. And BIM adoption has not only been growing in the UK. It has formed part of a modernization drive through digital working taking place in many global markets, including the US, Europe, Middle East, Asia and Australasia. Currently, there are four recognised levels of BIM maturity, essentially moving the production of building information from an individual, non-collaborative, two-dimensional approach (Level 0) to a fully digital environment encouraging full collaboration (BIM Level 3). Currently, however, no organisation is yet recognized as working beyond Level 2. BS 8541-1:2012 – Library objects for architecture, engineering and construction. Identification and classification. Code of practice. BS 8541-3:2012 – Library objects for architecture, engineering and construction. Shape and measurement. Code of practice. BS 8541-4:2012 – Library objects for architecture, engineering and construction. Attributes for specification and assessment. Code of practice. BIM has enormous implications for manufacturers and suppliers of construction products, as architects and designers increasingly use digital versions of products – BIM Objects – in the development and design process. As a manufacturer you will be a provider of products directly to a developer or contractor, or to another supplier in a supply chain. Through BIM, specifiers are now interacting with their supply chain in a different way, providing new digital routes to market. Many manufacturers are now producing “digital twins” of their products alongside the physical product to enable their products to be incorporated into BIM. Experts acknowledge that there are some ‘rules’ that apply for manufacturers, and these can be difficult to interpret. To address the issue, the UK BIM Alliance is creating a report on the state of product data, and this is currently open to industry comment. One call in the marketplace is to separate the object from the data, enabling simpler updating and avoiding the creation of objects with too much data, or data that is ‘locked’ inside an object. The report is scheduled for launch at UK Construction Week in October 2018. Butterfield stresses that, as long BIM content is provided in the right format to specifiers, it can help manufacturers become preferred suppliers. Visibility of manufacturer content within BIM models can also help to raise brand awareness and future engagement with facilities management providers. “They can become more resilient by embracing the technological change that’s transforming the built environment sector, opening up new business development opportunities,” he says. BSI is supporting digital transformation in the built environment through its traditional strengths – helping to develop and deploy standards that provide consistency and certainty, and through a range of certification solutions that offer the assurance of best practice. Until recently, manufacturers supplying the sector have had limited BIM certification options available to them. Their challenge has been not only to provide accurate digital product information – but also to be independently verified as doing so. In response, in July 2017, BSI launched a new Kitemark that enables manufacturers to demonstrate they have embedded BIM into their manufacturing processes and are delivering high quality BIM Objects. The BSI Kitemark was designed in collaboration with key stakeholders from different industry sectors, including windows and doors, plastic pipes, aggregates, fire, wood, steel and electrical products. The first organizations to achieve it are Legrand Electric Ltd and Wavin, a leading supplier of plastic piping systems for drainage and water in Europe (see case studies). 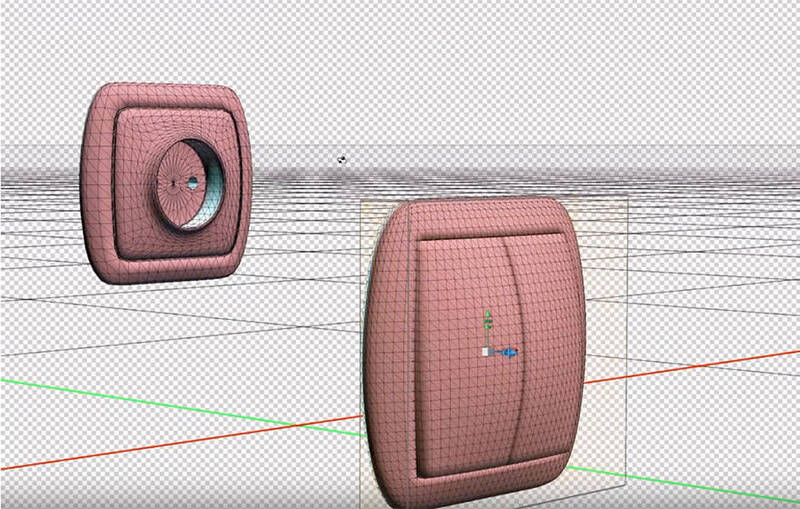 Gary Pattison, certification technical expert in BSI’s Built Environment team, explains that designers and specifiers will typically use generic objects as placeholders in their designs – but generic objects do not always produce realistic or dimensionally accurate designs, compared to the use of a manufacturer’s BIM Objects. “All too often, they are faced with too much, too little, or inaccurate online BIM content,” he says. The BSI Kitemark for BIM Objects verifies that the digital version of a manufacturer’s product is an accurate, up-to-date representation of the physical object. It demonstrates that the dimensional, performance and specification data related to the product has been validated and that this is presented and structured correctly, using standardised templates. It also proves that the manufacturer’s processes meet the requirements of BIM and that the object will function properly when placed within a digital model. To achieve the BSI Kitemark for BIM Objects, manufacturers must be independently assessed by BSI’s technical BIM experts against the requirements of BS 8541 – Library objects for architecture, engineering and construction: Part 1 – Identification and classification; Part 3 – Shape and measurement; and Part 4 –Attributes for specification and assessment. The requirements of each part provide best practices for producing trustworthy BIM Objects. Organisations holding the Kitemark for BIM Objects will be routinely assessed to show that BIM Objects continue to be maintained and updated to reflect product changes and validate that they meet the latest standards. The Kitemark is available to all manufacturers that have a quality management system equivalent to the ISO 9001 standard. Higher sales – differentiate construction products in a crowded market with validated BIM Objects carrying the BSI Kitemark, the original trust mark since 1903. Customer satisfaction – provide trustworthy information to specifiers, designers and other BIM Object users they can deliver projects quickly and efficiently. Operational resilience – enhance operational resilience by embedding robust processes to produce reliable BIM Objects. Enhanced reputation – protect brand credentials by embracing best practice processes to provide BIM Objects that meet validated standards. BSI’s Butterfield sums up why independently verified BIM Objects are a “must” for manufacturers: “The construction industry is highly competitive, so it’s really important that construction manufacturers can differentiate their products when tendering for BIM projects, and to gain access to new markets,” he says. Talk to your key specifiers to find out how they are using BIM, whether they are including your products in their BIM models and any challenges they face, to see what sort of BIM content you could provide to best support them. Once you understand what your clients want, focus on your biggest ticket items first to have the biggest impact. Consider where you will host your BIM content and how you will engage with users of it to benefit your business. If you don’t have the in-house skills to develop BIM content, engage with a qualified BIM adviser to help you. BSI offers an Associate Consultancy Programme, which includes a number of BIM consultants. Ensure your BIM content aligns with the BIM Level 2 standards, using a common language and structure, and that you have processes in place to keep your content accurate and up to date. BSI can help you as part of its BIM Objects Kitemark. Train your internal teams so they understand the relevance of BIM to your products and how your BIM content can benefit your business and customers. Tell the world – promote and share your content and offer support with its use. Achieving the BSI BIM Object Kitemark is a great way of doing this. For more information on the BSI BIM Kitemark, visit www.bsigroup.com/BIM-UK. Legrand achieved BSI certification for BIM Objects in 2017, but its journey began back in 2011, when it first created digital 3D objects for some of its products for the process, power and marine (PPM) sector. Legrand’s initial focus was on making sure information was displayed in the same language and format, so that PPM specifiers could see and assess products easily. Matt Crunden, training and BIM manager, explains that the creation of BIM Objects – “3D digital models that can be inputted into a single blueprint or 3D model incorporating structured data” – was the second stage, making the design and construction process integrated and seamless. As a “first mover”, Legrand stole an early advantage over competitors, and began a steep learning curve. By 2013 it was using extensive 3D object catalogues for the PPM sector “that really were BIM Objects”, says Crunden. Success in the PPM market paved the way for further investment in BIM Objects for a wide range of onshore markets. Crunden explains that BSI Kitemark certification of the BIM Object reassures customers of its accuracy before they use it, improving the reliability of the design and installation, and reducing the cost and time associated with returning and replacing products that do not fit the original specification, as well as time spent sourcing and validating data. “The BSI Kitemark encourages project teams to utilize Legrand systems to produce accurate and efficient plans, cable routing and procurement lists as part of fully integrated BIM projects,” he says. To date, BIM Object families for a number of Legrand products have been included within the initial scope of Legrand’s BIM Objects BSI Kitemark, including branded cable trays and ladders, power tracks, presence detectors and lighting control systems. Each family has the associated product data templates, ensuring accuracy before publication. More BSI Kitemark-approved BIM Object families are planned for the future. The BSI Kitemark validates that all Wavin’s BIM Objects are accurate digital representations of its above-ground drainage pipes and associated products. For specifiers, this helps streamline the process of getting from “designed” to “built”, increasing efficiency of building projects. Wavin developed custom BIM Revit content packages – BIM Objects – with built-in intelligent assistance. Whereas the generic Revit pipe option cannot be used to make an accurate model of a pipe system, Wavin packages allow users to create a fully accurate representation of the way piping systems will actually be installed. They also feature a fully integrated bill of materials. Wavin’s BIM Revit piping packages provide reliable clash detection, so that errors can be corrected prior to installation, which means, for instance, that Wavin pipework will fit in the duct spaces for which it was intended and will not interfere with other structural elements or building services when it comes to installation. Other reliability features include: accurate specifications by selecting the right product range, diameters and type of fittings to be installed; reliable drawings, which leads to accurate prefabrication parts; and reliable ordering of the products, which leads to ordering and site logistics optimisations. Now, BSI Kitemark certification of its BIM Objects means that Wavin’s customers can be secure in the knowledge that their files will be accurate, providing correct ordering and clash detections, and consequently generating maximum saving of cost and time. “With so many providers of BIM services in the market, often giving different advice, the BSI Kitemark brings into play a robust, consistent and objective set of BIM parameters for product data. It represents a real watershed for construction manufacturers and their customers,” concludes Skeldon.